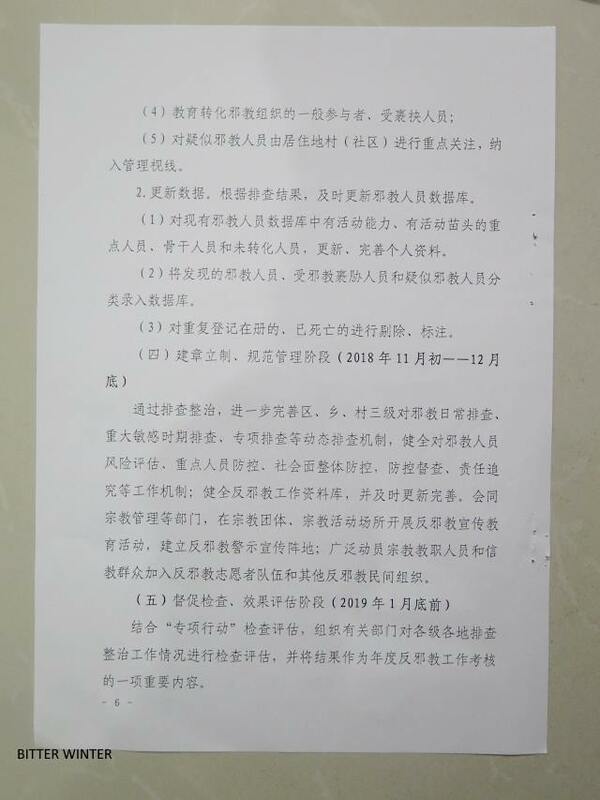 Bitter Winter has received and publishes a confidential document detailing how the persecution of the movements listed as xie jiao (“heterodox teachings”) should be conducted between April 2018 and January 2019. The Church of Almighty God is the primary target. Xie jiao is a term often translated as “evil cults,” but the translation is wrong. 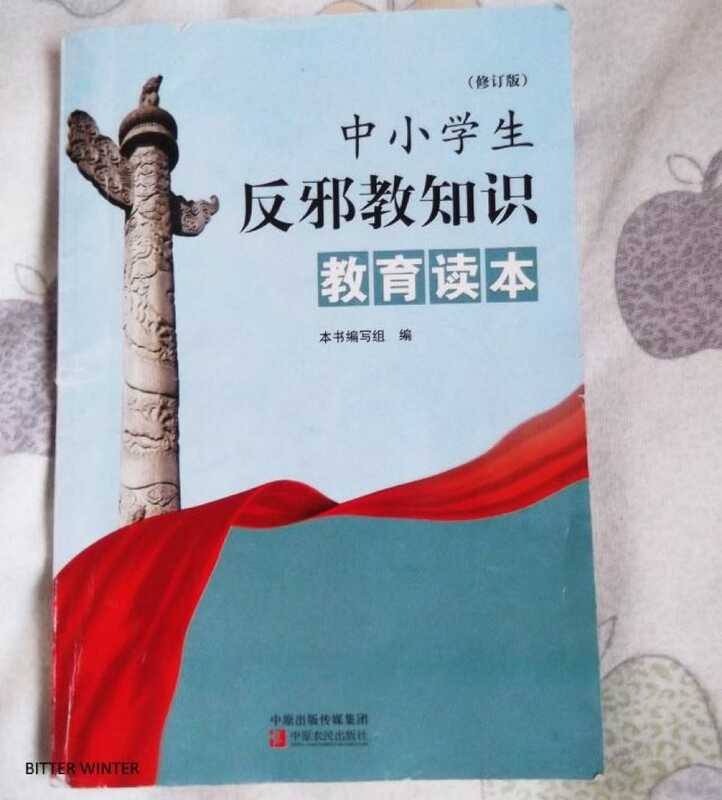 In fact, xie jiao means “heterodox teachings,” and lists of xie jiao have been published since the late Ming era. The “heterodoxy” was always a political as well as a theological concept. When lists of xie jiao were reintroduced by the Chinese Communist Party (CCP) in 1995, the subjective and political rationale of the listing became even more clear. Under the CCP regime, is a xie jiao any independent religious movement either regarded as hostile to the CCP or growing too rapidly for the CCP’s tastes. 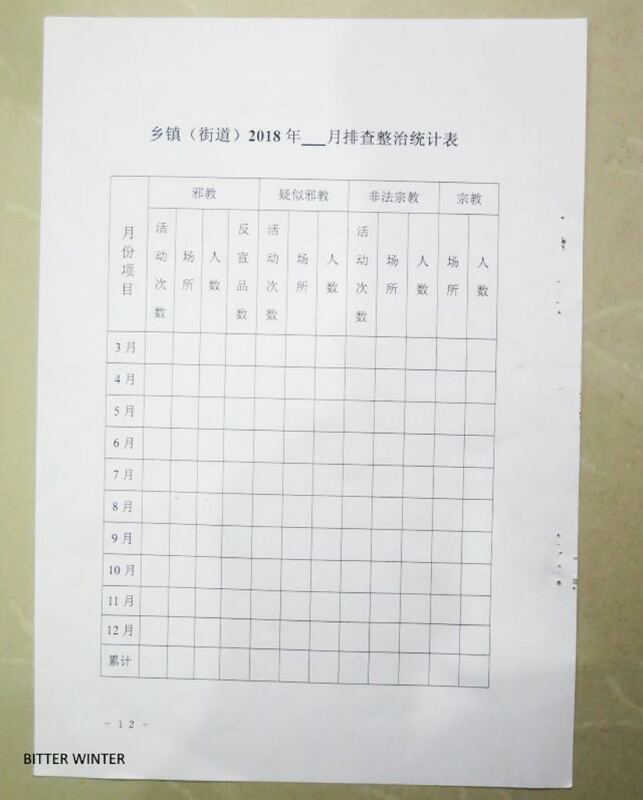 Being active in a xie jiao is a crime, punished by article 300 of the Chinese Criminal Code with a jail penalty of three to seven years “or more.” Topping the list of xie jiao are Falun Gong and The Church of Almighty God, a Chinese Christian new religious movement. Under President Xi Jinping, the campaign against the groups listed as xie jiao, if anything, has been intensified. 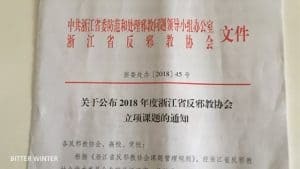 Bitter Winter has received a classified CCP document whose title is “Notice Regarding the ‘Launch of Investigation and Repression Program for the Problem of Xie Jiao.’” It states that, as President Xi Jinping has indicated that “opposing xie jiao is important for national security, as well as to win over the will of the people,” from mid-April 2018 to January 2019, a program of investigation and repression will be launched to deal with the issue of xie jiao. This program, the document stated, will be divided into 5 phases: utilizing propaganda in the media, focused training, encouraging reporting and tip-offs, thorough surveying and information compilation, and concentrated seizures and repression. 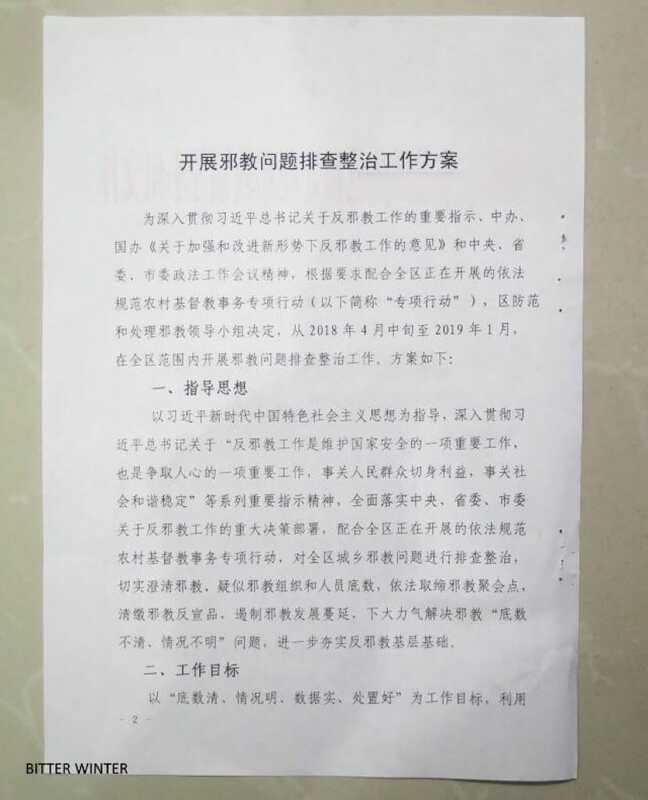 From July to October 2018, in particular, focused operations on apprehending xie jiao leaders and members should be launched. The document also states: “When implementing investigation and repression, the inner and outer aspects must be handled differently, with the inner aspects tight and the outer ones loose. 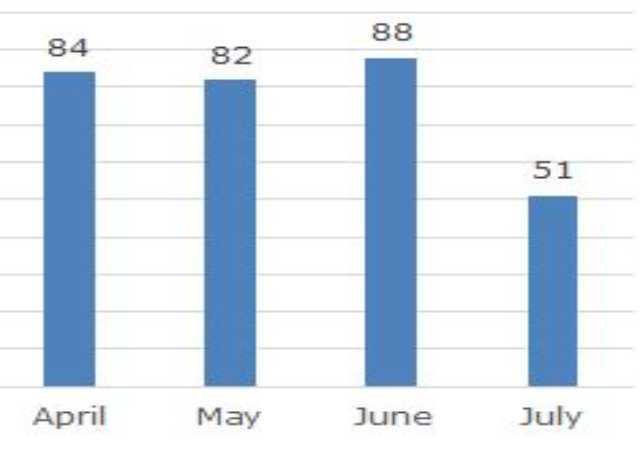 Be sure to maintain secrecy, and when it comes to investigation data, be sure to hand over all reports either in print or on CDs. They must never be saved to computers connected to the Internet, or to flash drives, to avoid possible incidents resulting from the mishandling of the work or leaks, and undesirable consequences caused by media hype.” This is significantly different from the past, when “successes” in the police operations against xie jiao were triumphantly announced in the regime media, and appears to be connected with criticism against China’s anti-xie-jiao policy by NGOs and foreign governments in international fora, including the European Parliament and the United Nations. This does not mean that propaganda against the xie jiao should be discontinued, only that police operations will not be reported. 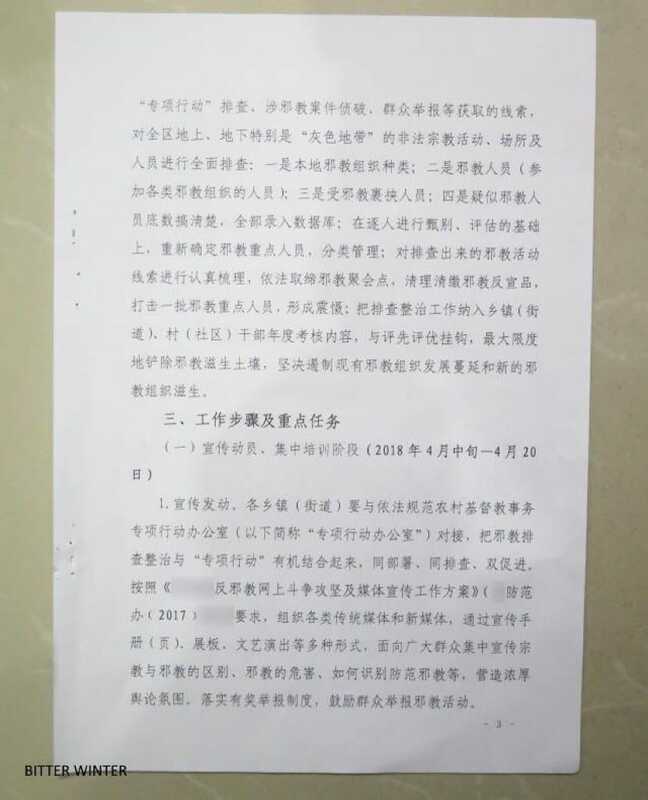 In fact, April 2018 was indicated in the document as a crucial month for the anti-xie-jiao propaganda. 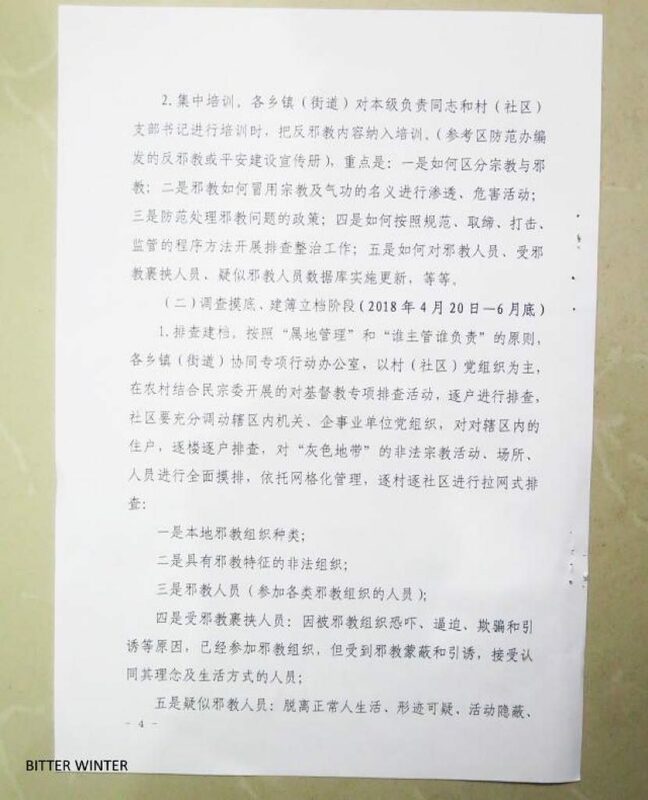 Since March, Bitter Winter has received multiple photos of banners with anti-religious messages throughout some provinces and cities, as well as slogans attacking “xie jiao organizations.” They can be found at public transport stations, on neighborhood bulletin boards, on subways, in schools, and even on electric poles, always in plain sight and with extremely aggressive messages. 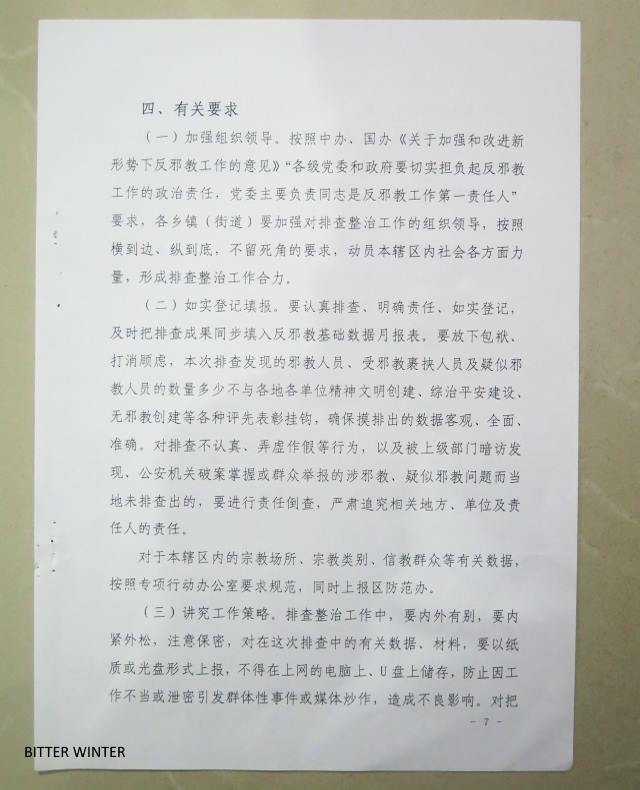 In April, the government of Nanjing City, Jiangsu issued a special notice regarding the repression of The Church of Almighty God, offering a “500 RMB–5,000 RMB” reward for tip-offs from the public regarding members of this Church, adding they would punish those who have information but do not report it. 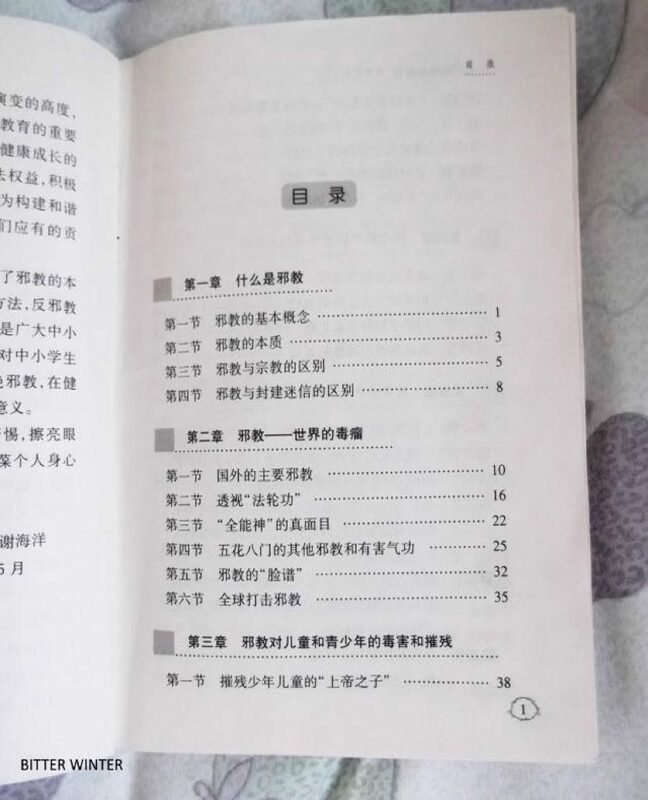 In Xinjiang, some regions have included anti-xie-jiao content in school textbooks, demanding that students study the subject. 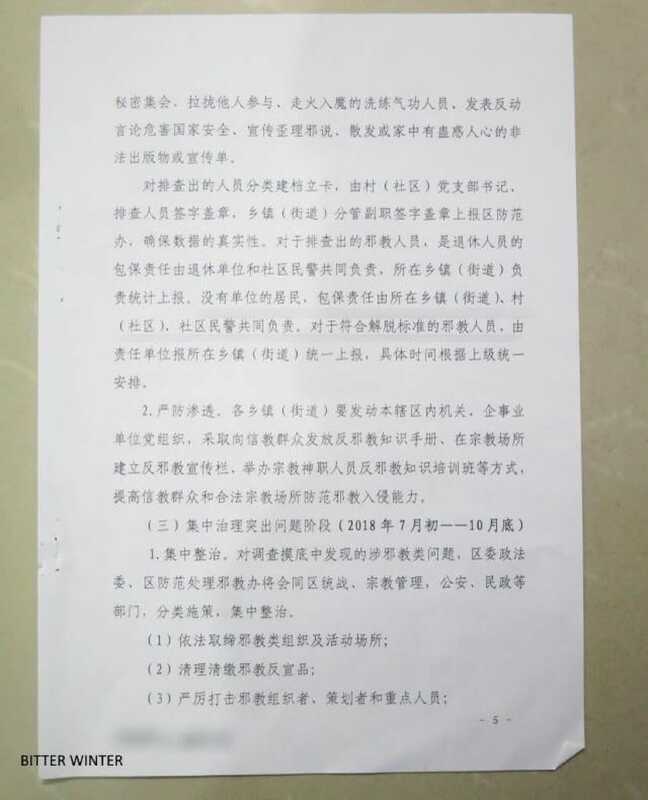 While the population may see the propaganda with skepticism, many are attracted by the generous rewards offered to those who denounce xie jiao members to the police. 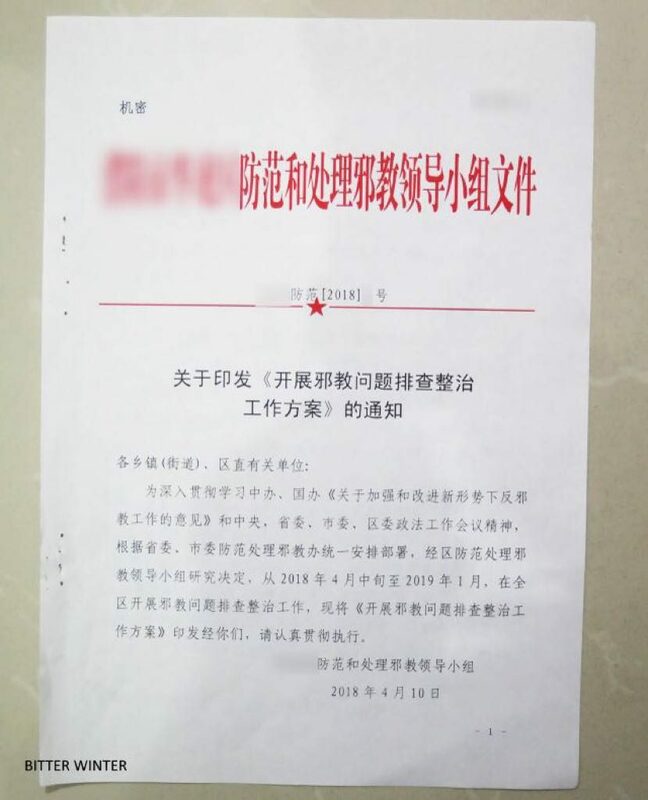 Another result of the campaign is that even religious movements not included in the list of xie jiao are condemned and persecuted as such. 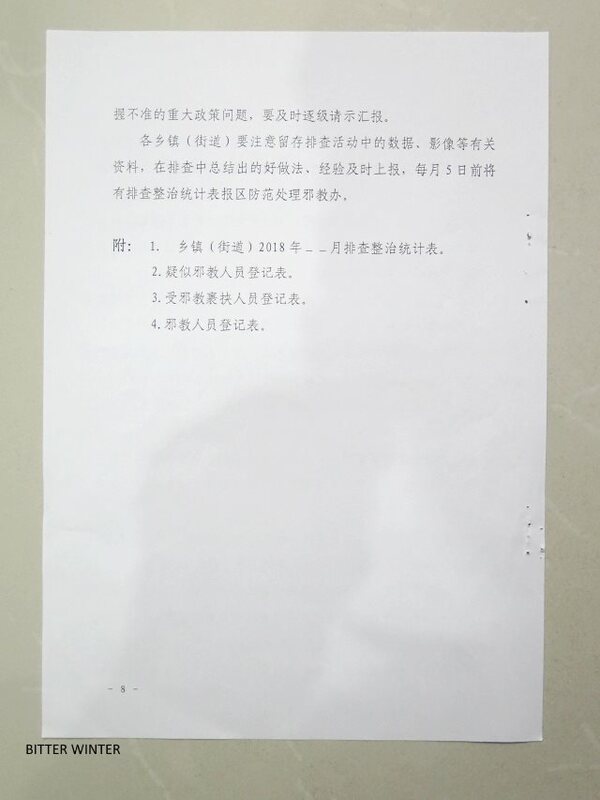 Bitter Winter has already reported about comprehensive plans of surveillance of all religious organizations and places of worship in Henan, Liaoning, and elsewhere in China. 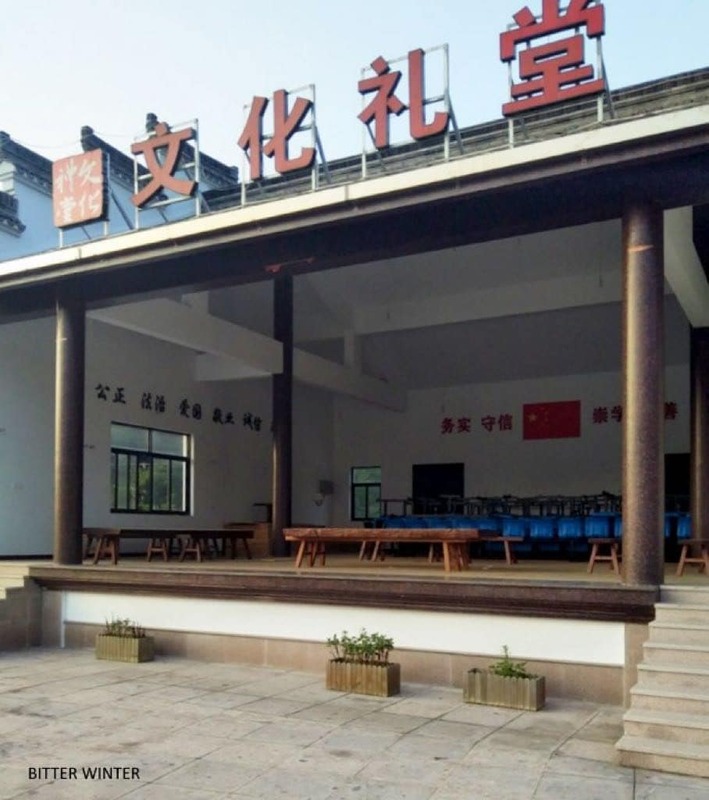 We learned that one location in Henan even dispatched 2,000 plain-clothed police officers to visit and investigate single religious believers. Since most Falun Gong communities were eradicated during past campaigns, The Church of Almighty God appears to be the primary target of this operation. At least 700 leaders and members of The Church of Almighty God have been arrested during an organized operation, which is continuing in all Chinese provinces.